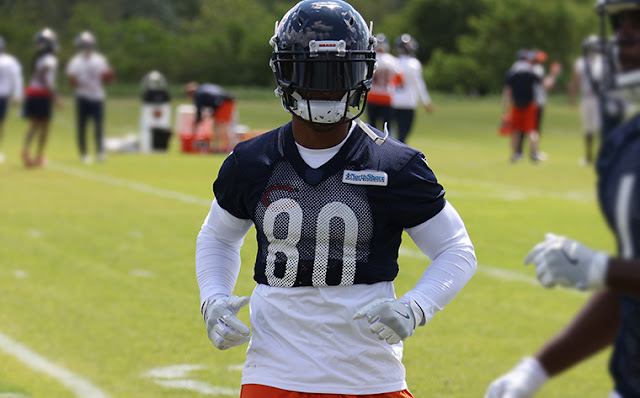 Chicago Bears training camp has officially commenced in nearby Bourbannais, IL and excitement for Monsters of the Midway football is absolutely through the roof!!.... Okay, not exactly... not at all, actually. After all the Cubs have marched their way back to the top of their division, proving that they are once again real contenders for the Postseason; they continue to dominate the Windy City sports section. Heck, even the White Sox have made a ton of trades for an abundance of highly-touted, prospective talent, generating more excitement for that club than has been seen in nearly a decade. Furthermore, we're currently in the throws of the Crosstown Classic series between the two Second City baseball clubs. Football season is truly the last thing on minds right now. Add in the fact that the Bears are in the midst of a lengthy rebuild of their own, one which has not been nearly as well-executed as the Cubs or the Sox, and look to be nothing more than an afterthought in the NFL standings. So.... ummmm.... Bear Down? Nevertheless, while it doesn't hold as high of importance on my to-do list as my Cubs All-Time Roster Collection, I am still continuing to add cards to my Bears equivalent, every now and then. Luckily (depending on how you look at it), with the blase attitude surrounding the Chicago football club, cards featuring the blue and orange are plentiful and uncontested. 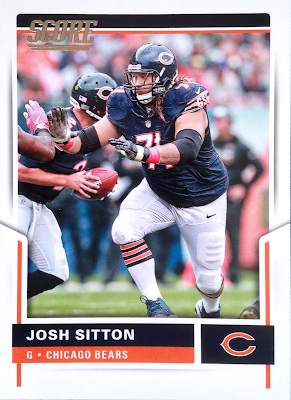 One new name that I recently added to my Bears binder is Josh Sitton, one of the few bright spots on last year's ever-changing roster. A last minute cut by the Packers prior last year's regular season, the guard signed a three-year deal with the Bears to solidify their weak line and provide a veteran presence for the young team. There's no doubt in my mind that the Pro-Bowl season Josh put up in 2016 helped rookie RB, Jordan Howard, finish second in the league in rushing and assisted Bears QB's in passing for the third-most yards in team history. Although, that last stat might be more indicative of the franchise's never-ending problems with signal-caller development. For his efforts, Sitton earned a spot in this year's edition of Panini's Score football product, which appears to function as their "flagship." 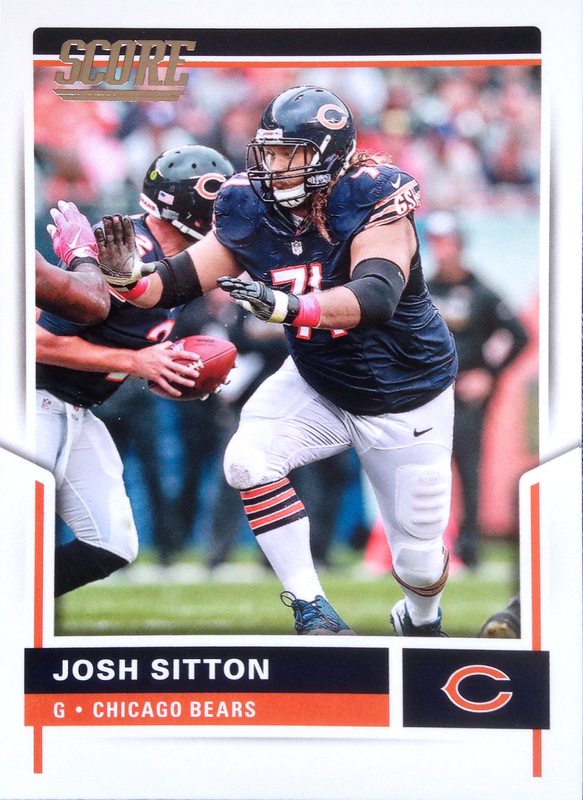 I don't know if it's more a function of Josh's stellar play or the lack of recognizable talent on the Bears, but this seems to be the guard's first base card... ever. So, that's cool, right? 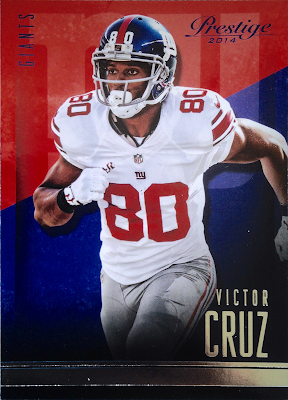 Next up, here's a 2014 Panini Prestige single featuring the Bears' big-ticket, off-season acquisition - the embattled Victor Cruz. The oft-injured former standout has had problems staying on the field since this card was printed; but, when healthy, he's expected to shore up the wide-receiving corps, which lost Alshon Jeffrey to the Jets and will be leaning heavily on Kevin White, who has PUP list problems of his own. Also, from a marketing standpoint, it probably doesn't hurt to have a recognizable name attached to your club to generate interest, even if his prime is probably behind him. At any rate, here's hoping that Cruz can turn back the clock a few years and close out his NFL career with a bang; or, he at least plays well enough and sticks around long enough to appear on a Panini card in a Bears uniform. Here's Victor in proper Bears garb. Will he ever look this way on a card? We shall see. With that, we've reviewed all of my recent additions to the Bears All-Time Roster Collection... all both of them. I'm sure it was as fun for you to read as it was for me to draft -by that I mean, you soldiered on through the "blah." It seems quite unlikely at this point, but fingers crossed that the Bears do something to move the needle once the season truly kicks into gear - you never know what's going to happen in this crazy thing we call life. Although, no matter what, the "baby bears" will still have my full attention, first and foremost, especially now that they appear to have cured their own "blahs." Chicago is definitely a baseball city, at this particular juncture. Hey Tony, having trouble digging up your email for some reason, anyway if you're interested in that Murton auto would be happy to send it your way. Drop me a line at shanediaz82 at yahoo! I am curious to see how Glennon does with the Bears. I loved watching him play at NC State, but I have my doubts about him as a pro.